Attention Sport Fishermen! 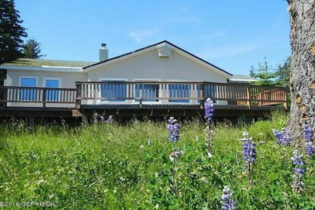 Looking for an Alaskan get-away but with some of the creature comforts of home? Look no further! This home was once a successful B&B; it could be your vacation home or corporate retreat; or you can live here part-time and offer an AirBNB listing too! Run a charter fishing biz or simply have your own primary residence in remote Alaska! The sky’s the limit! Oil and wood heat options are both available. Don’t delay, contact your REALTOR today for more information and to find out how you can schedule a showing appointment.